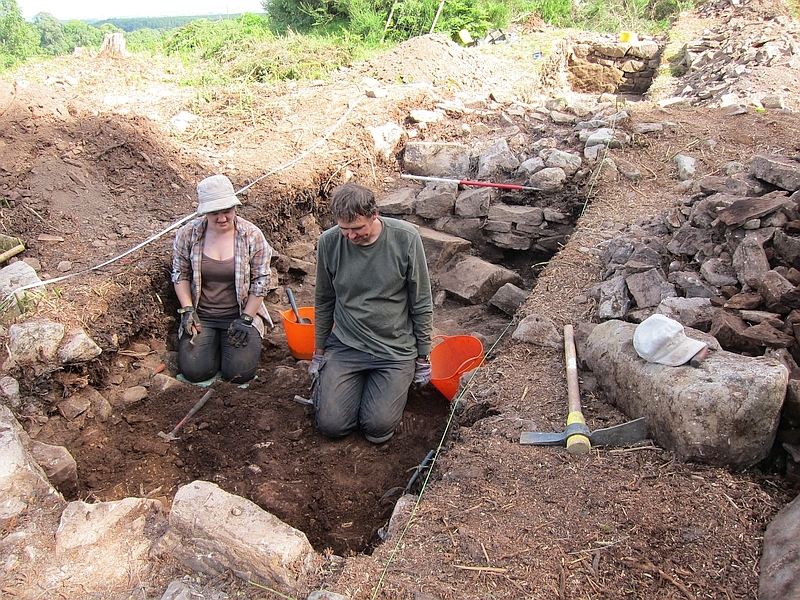 Cobbling of an iron age road surface can be seen in the trench. The surface appears to continue underneath the stones of the wall. The wall also indicates several phases of construction and remodelling. 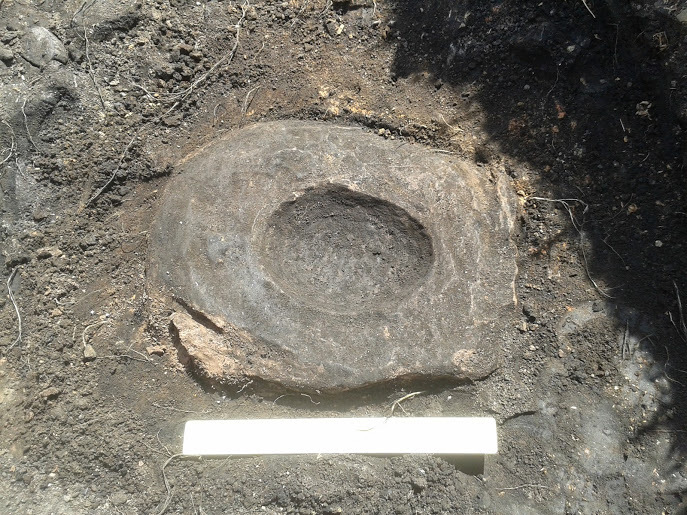 Vaidutis Žutautas (University of Aberdeen) takes up the account: The artefact is made out of sandstone, the socket diameter is about 17cm and it has been suggested to be a mortar of some sort by Dr F. Hunter. Because the stone seems to be smoothly pecked instead of having a rough surface, the possibility of it being a grinding stone is very unlikely. Unfortunately, one side of the stone, as you can see in the image, has started to erode, especially when it got completely uncovered. 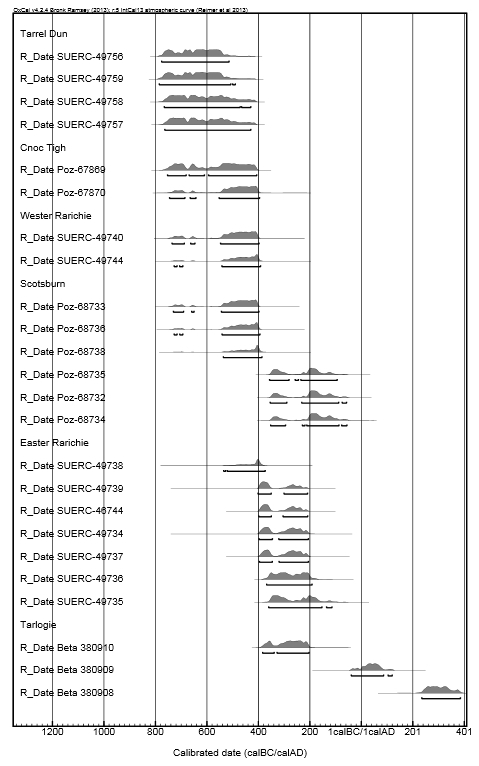 I am also uploading a wider area shot to show the context of the stone found within the trench. 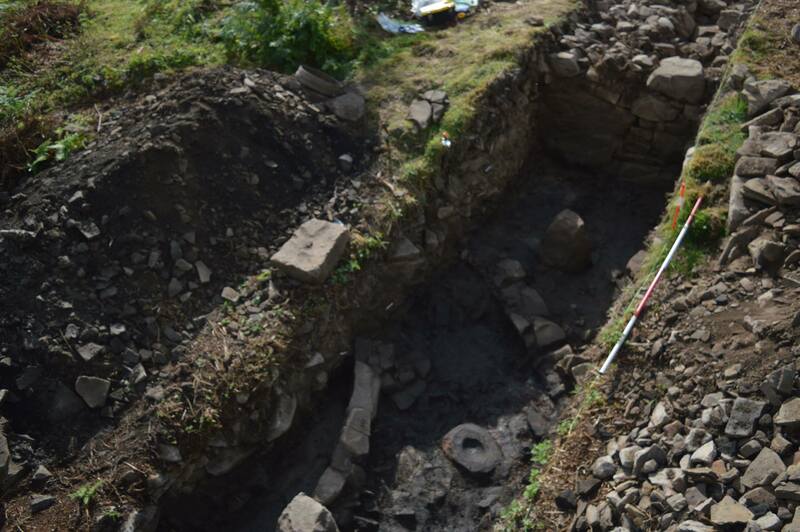 It sits in the occupation deposit between two low stone walls that almost undoubtedly form structures between the roundhouse and the first outer enclosure wall. 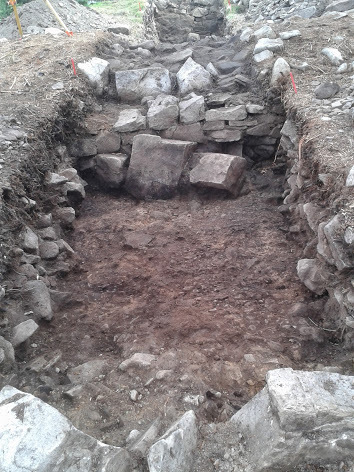 Wider shot of Scotsburn trench with the possible stone mortar in situ. 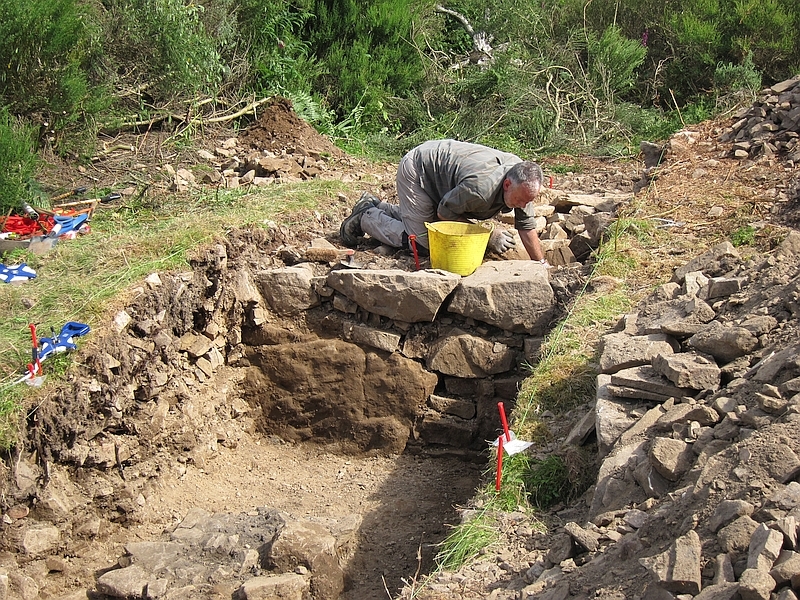 Further posts regarding the Scotsburn dig and the other excavations at Tarbat will follow later this month. 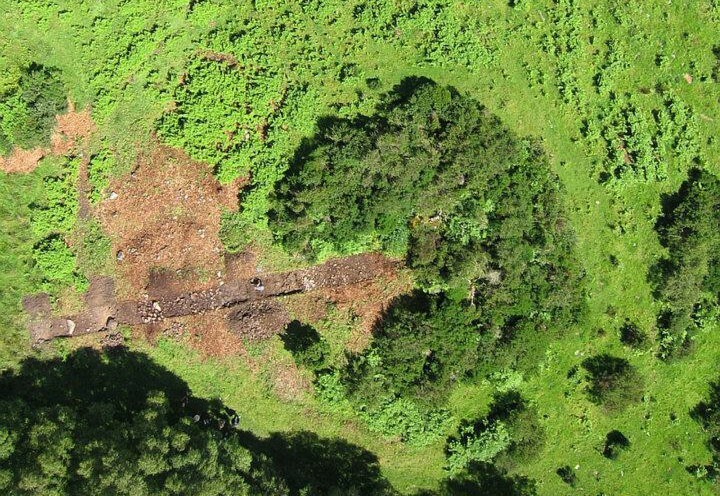 See also Vaidutus’s second post on Scotsburn, including a flyover video of the excavation.